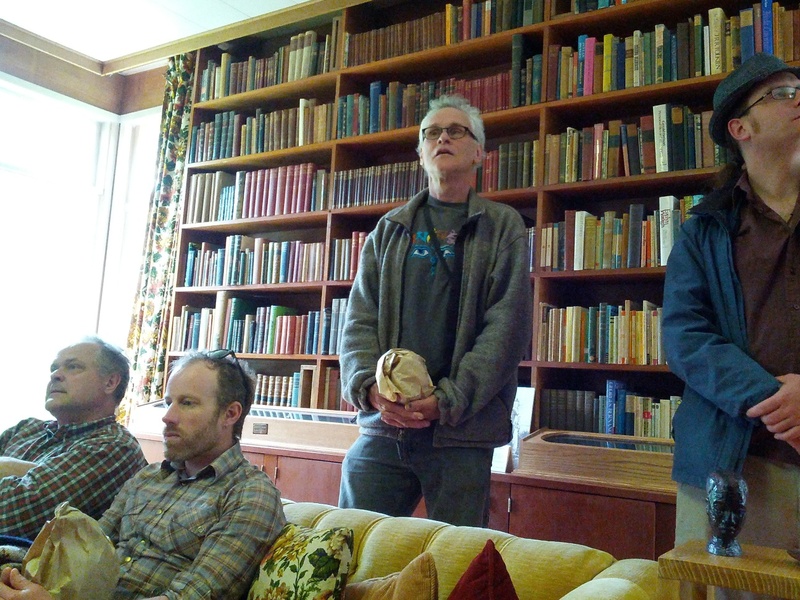 Our visit to Roderick Haig-Brown’s historic family home in Campbell River set some new ideas in motion as we discussed his conservation thinking and ideas about nature. In addition to being a renowned fly-fishing writer and naturalists, Haig-Brown was an influential conservationist. As Arn Keeling describes him, Roderick Haig-Brown was “the foremost conservationist in British Columbia from the late 1940s to the late 1960s.” We had the opportunity, as a group, to read a passage from Measure of the Year (1950), a collection of reflective seasonal essays, while sitting in Haig-Brown’s beautiful book-lined study. The passage called into question assumptions about progress and rapid industrial development, common in mid-twentieth-century British Columbia and elsewhere in Canada. It was indicative of what made Roderick Haig-Brown such a unique and important figure in BC environmental history. He attempted to challenge fundamental assumptions about what he increasingly saw as a troubled relationship between people and nature at the same time as he struggled to reconcile his own thinking about the utilitarian and moral values of conservation. 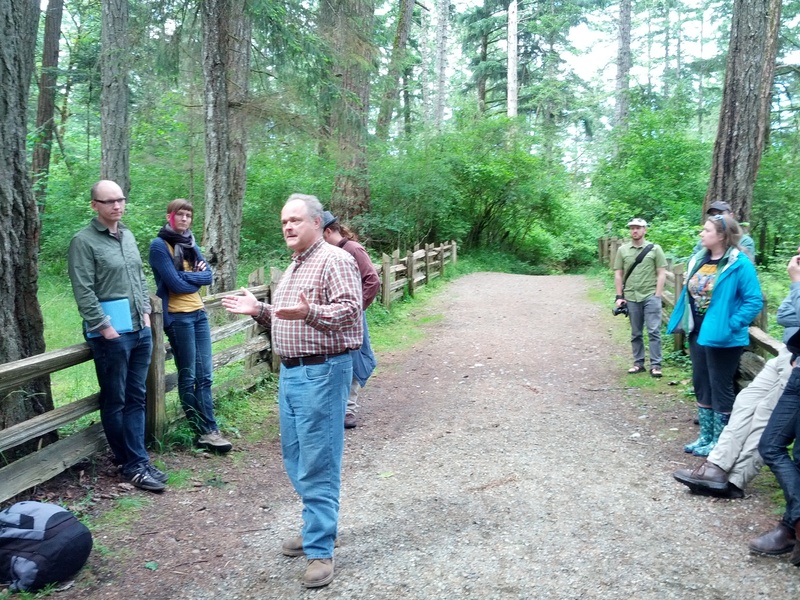 Tour of Comox Estuary intertidal fish trap archaeological site. We carried some of these broad critical ideas about the relationship between humans and nature to the Comox Estuary as we marched out onto the tidal flats for a field tour of some extraordinary archaeological research. Nancy Greene and David McGee led us across the wind-swept flats to a series of small neon-coloured flags staked out in the sand. From the ground, the flags appeared to be randomly spread out in all directions, but upon closer examination they marked out very clear patterns of ancient intertidal fish traps throughout Comox Habour. 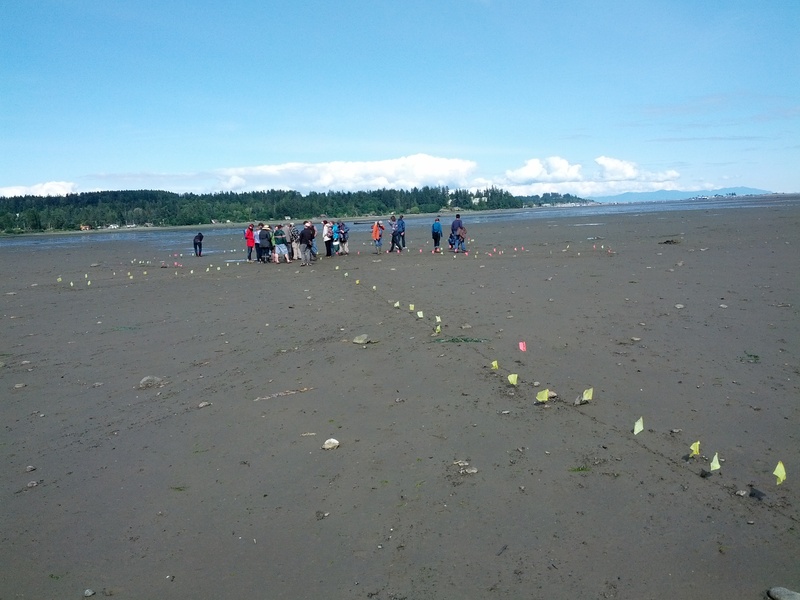 As Nancy and David described their tireless research of using GPS mapping technology to mark out every remnant cedar stake on the tidal flat, the tremendous significance of this archaeological discovery became evident to the group. What they had uncovered was a remarkably well-preserved, elaborate and complicated system of enormous intertidal fish traps capable of capturing tens of thousands of pounds of fish. We stood atop direct evidence of a pre-Columbian Aboriginal fishery of an industrial scale on the Northwest Coast. It was breathtaking. Cutting up a red fir at Comox, 1925. Source: BC Archives, I-51808.